Many people today think it’s unusual for someone to interpret the Genesis account of creation literally. For example, many in the church seem unsure of whether Adam was a real person. How are we to understand Genesis? Until the nineteenth century, virtually all Christians understood Genesis chapter 1 as a history of what actually happened during creation week. The few exceptions were influenced by Greek and Roman philosophy that was very much like modern evolution. For thousands of years, believers understood the text of Genesis chapter 1 in its natural sense. In other words, unless the Bible itself gives us some reason to do otherwise, we understand the words in their literal, natural sense. We could mention many leaders of the church who understood Genesis creation as an historical account of actual events. Most importantly, Jesus Christ treated the Genesis account of creation as actual history … and Adam and Eve as real people. 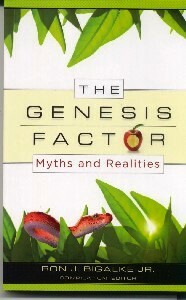 In defending the natural understanding of Genesis chapter 1, the great teachers of the church have most often cited Christ as the best example of how to understand Genesis. The subject is, of course, much larger than can be covered in a few minutes. If you would like to know more about how to understand Genesis chapter 1, call Creation Moments to request information on understanding Genesis. We need to understand Genesis in its natural sense, of course, just as Jesus understood it. Dear Lord, I thank You that Your Word is so clear that even a child can understand what You are saying in Genesis, and yet a believing scientist can appreciate Your precision. I believe, Lord. Help my unbelief. Amen. Niessen, R., B. Northrup, and D. Watson. 1988. Genesis Stands. Minneapolis, MN: Bible-Science Association, Inc.